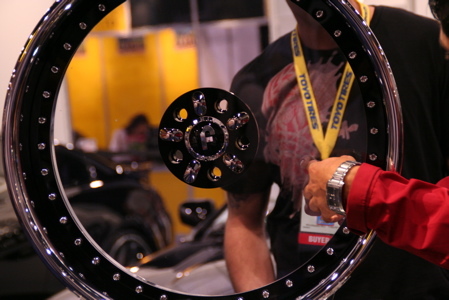 The D'Vinci Forgiato Radurra: See-Through Rims! | OhGizmo! The D’Vinci Forgiato Radurra: See-Through Rims! a technique known as bezel setting which only master diamond setters can know, where the diamonds are just slightly larger than the bezel they are set into and are held in place by pressure. Understanding this, we put the same care and consideration towards the Radurra as we would towards a fine watch. 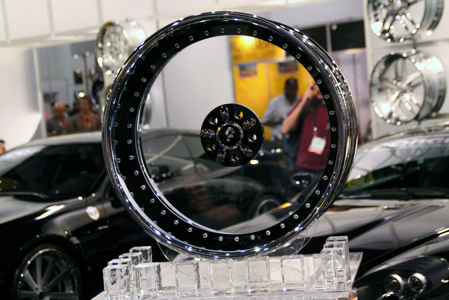 By eliminating the alloy center of a three piece forged wheel and setting into its place a hard coated polycarbonate center with a glass-like finish we achieve an amazing and stunning look, with a finished product that looks too good to be a wheel. 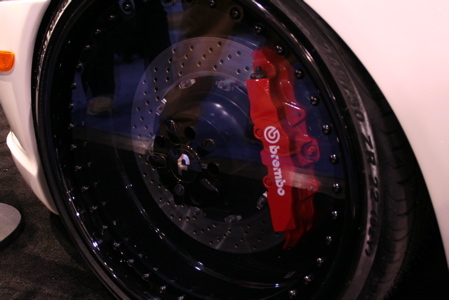 They were on display a month ago at the SEMA show, and are apparently available for purchase. A custom order takes 6 to 8 weeks to deliver. Keep reading for a bunch more pictures, and links to a video, product page and all that jive. Fascinating idea, I like these much better than those annoying spinners. They must be hell to keep clean and I hope they come with some sort of protective replaceable cover to ward off dings and scratches. Wow, better not do any hard braking and come to a quick stop, as in road racing or driver’s ed events. PC , even the bisphenol version used to make bulletproof glass, melts at 250c. 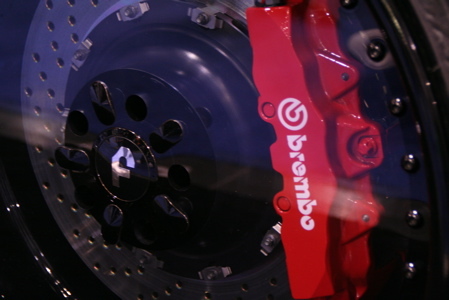 Those big red brembos are just getting warmed up at 250C. Also, kiss the clear finish goodbye if gasoline is spilled on them. Hello, I seem to see you supposed to have invented these rims. Well, odd that I am looking at a patent and copyright contract right now that precedes your date. I thought that you should know this was sent to an invention marketing company and papers were processed for “clear rims” long before yours hit the market. im very interested in your comment, i happen to know a little bit about this patent you are talking about. what do you know? To Floyd Rogers let me know asap if you could. The center is 1.5 or 2? polycarbonate, chemical hard coated both sides. SAE tested, certified and passed Impact, cornering and radial tests. Now in production, average delivery time is 6-8 weeks. 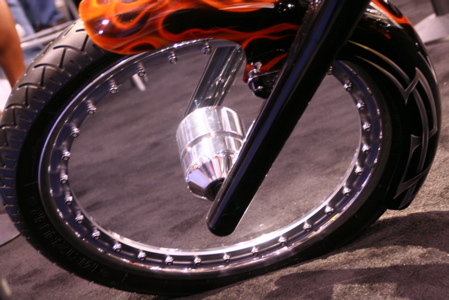 How can I get a pair for a motorcycle. Not a Crotch Rocket though, a bobber. I'm trying to find a 21″ x 2.185 and an 18″ x 3.5″ rim diameter? Please let me know, thanks. 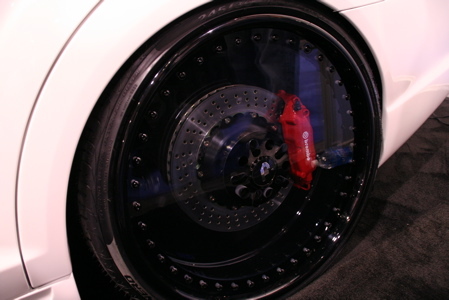 This is the first time I see this kind of transparent rims. This is an amazing idea. Congrats to the one who created something like this. I design motorcycle saddlebags and I know how it feels when I make a new successful product. Everybody enjoy it and it is for my greatest satisfaction.